On the 7th of October 2017, as every year, took place a ceremony commemorating the 1st Armoured Division and their commander, general Stanisław Maczek. In the Holy Mass in the Archcathedral of the Polish Army and on Plac Inwalidów participated about 250 people, including minister Jan Kasprzyk, p.o. Chief of Office for War Veterans and Victims of Oppression, representatives of embassies of France, Belgium and the Netherlands, delegation of the Association of the 1st Polish Armoured Division in Belgium: president Dirk Verbeke and his wife Mia, as well as treasurer of the management board Jan Cornelissens. 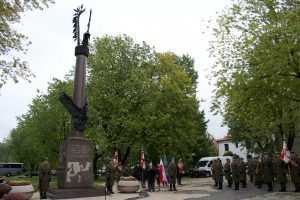 Present were officers of the Polish Army, teachers and pupils of schools dedicated to general Maczek and 1st Armoured Division, representatives of organizations, conducting activity commemorating merits of the 1st Division, families of combatants, and a few soldiers of the 1st Division, today 90-year-old seniors, and members of the Capital Association of the 1st Armoured Division. From the order of the Commander of Warsaw Garrison, the standard bearers and army orchestra added splendour to the celebrations, who accompanied the ceremony of laying of wreaths under the monument of the 1st Armoured Division. 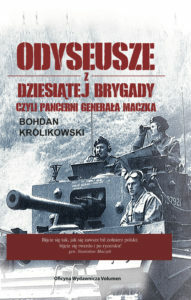 Previous PostPrevious Through joint action we will build the legend of gen. Maczek and his 1st Armoured Division!